The independent complaints and appeals examiner (ICAE) was established in November 2015 to take an impartial view of appeals made against RJC decisions and complaints made against RJC registered trainers, practitioners or RSQM organisations. 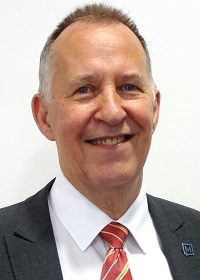 Richard was appointed to the Trafford Bench in Greater Manchester in 1997 and elected bench chairman from 2005 to 2007. He was chairman of the Magistrates’ Association (MA) between October 2013 and November 2015, representing the Association extensively with the Ministry of Justice, the senior judiciary, the court service and in the media on a wide range of policy issues. He previously chaired the MA’s Judicial Policy Committee and was a board member from 2008. In his working life, Richard spent several years advising manufacturing companies across most industrial markets on the use of statistical methods for quality improvement and resource management. An overview of the ICAE scheme is provided here. You can submit a complaint to the RJC by completing this complaint form. Guidance on how to complete the complaint form is available here. Please send the completed complaint form to the RJC standards team at standards@restorativejustice.org.uk.